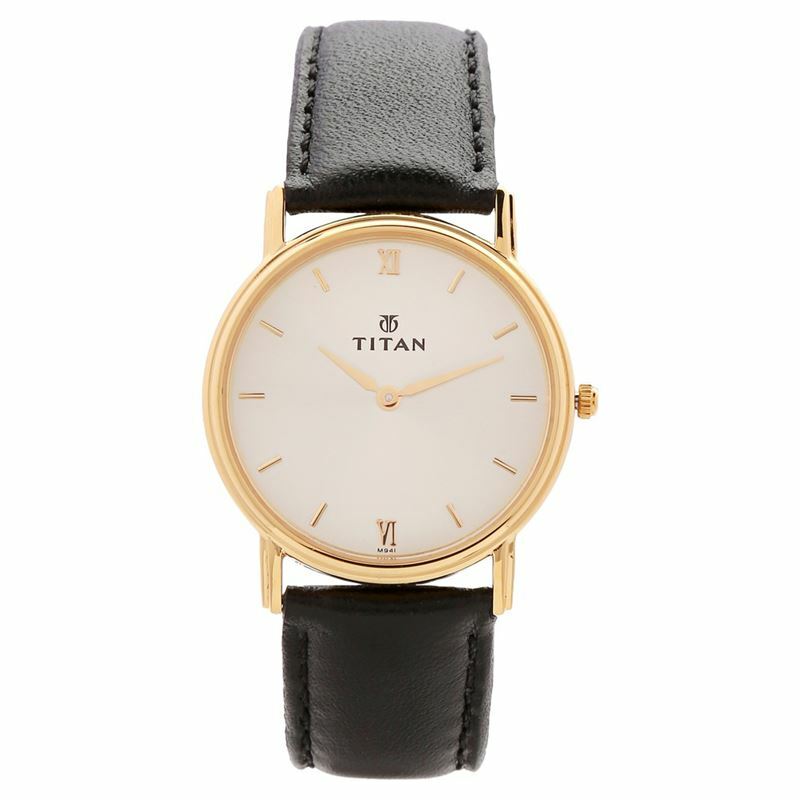 This analog watch for men features a champagne round dial, housed within a brass case. The dial has two plain hands and Roman numerals on the half hour intervals. Featuring a black leather strap with a buckle closure, this timepiece has a gold yellow crown that lets you adjust the time.